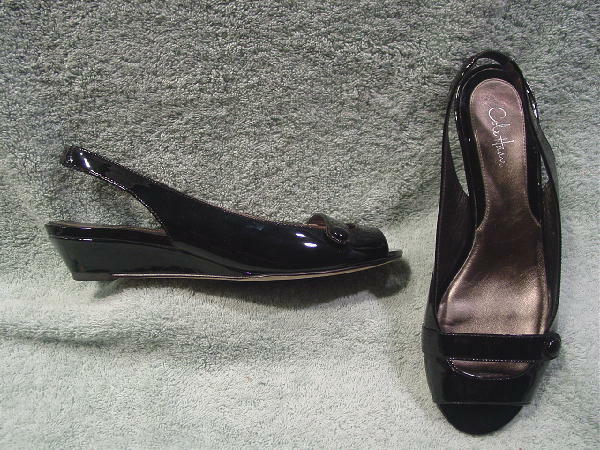 These black patent leather open toe wedge sandals are by Cole Haan. 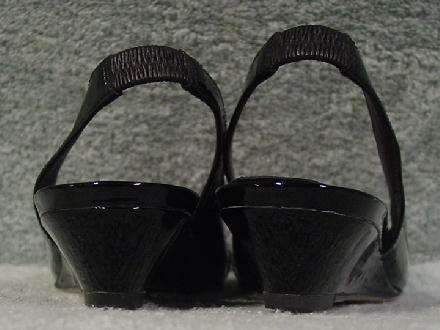 The sling backs have back elastic panels and the shoes have titanium color leather linings and insoles. 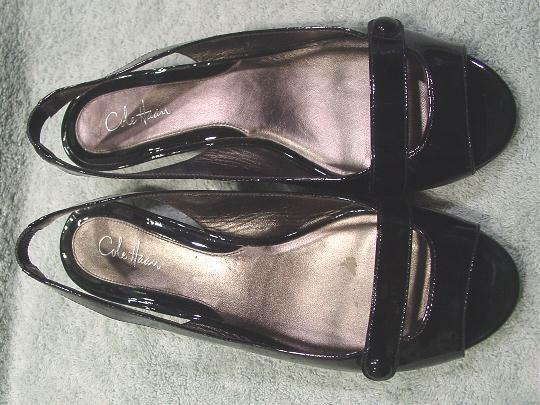 The toe beds are also black patent and the insoles are slightly padded and Cole Haan is etched in silver-tone letters on the heel area. 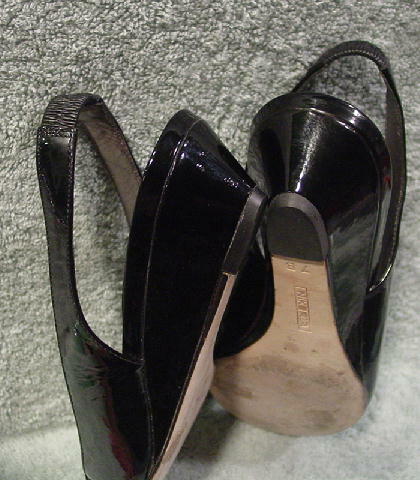 There are a few light scuff marks on the left outer side of the left shoe and the heel has three ding marks (the leather is in place but elevated). The light areas in the picture are just reflections. She rubbed her heel coming down steps the first time she wore them at a Hollywood party. She only wore them a couple of times.